Room for a Little One is one of our favorite Christmas books! 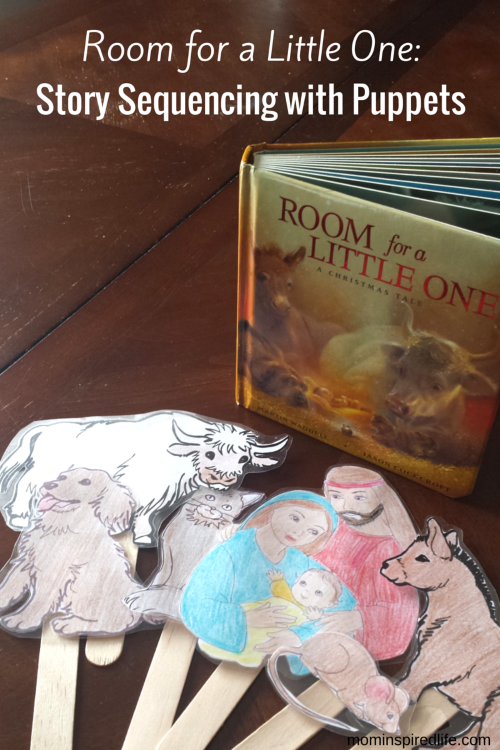 This Christmas story sequencing activity is an excellent tool for teaching about the nativity! 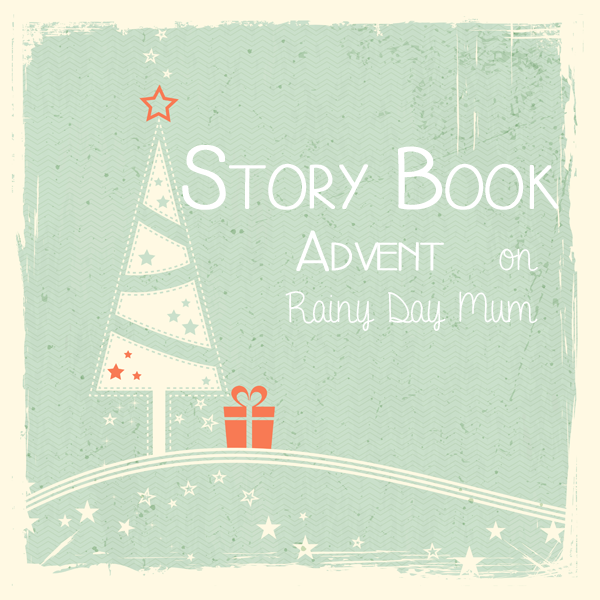 We are so happy to be participating in the Storybook Advent event hosted by Rainy Day Mum. 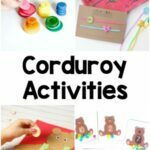 I am joining up with 30+ awesome kid bloggers to bring you posts that feature a Christmas storybook and a craft, activity or recipe to enrich the book. 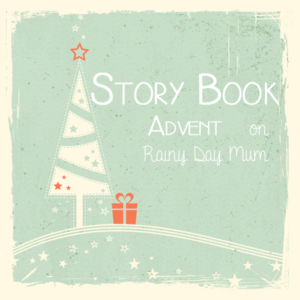 The book I am featuring today is Room for a Little One: A Christmas Tale by Martin Waddell and illustrated by Jason Cockcroft. It is a beautiful retelling of the birth of Jesus that looks at the event through the eyes of the animals in the stable. It is a tale of kindness and love that begins with Kind Ox who invites the animals into the stable to escape the brutal cold. Each animal is looking for shelter in the warmth of the stable and each one puts aside their differences to offer kindness to the others. After looking for a room at an inn and being unable to find one, Joseph, Mary and Tired Donkey are also welcomed in to the warm stable by Kind Ox. Soon after their arrival, a little one is born for the world! The illustrations are just gorgeous and the text is so beautiful as well. It pulls young readers in and mesmerizes them while sending such a beautiful message. If you can’t tell yet, I absolutely adore this book and I am so happy to share it with you today! I wanted to give Evan an opportunity to interact with the story more and this book lends itself to sequencing practice, so I thought I would combine the two and make velcro popsicle stick puppets. 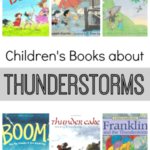 These give children a chance to help tell the story while you’re reading it. 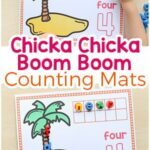 You can also take them off the stick and use them on a felt board, poster board with velcro dots attached or lay them out on the table. 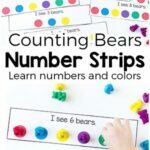 If you are short on time, you can use the pictures of the animals and not worry about the velcro or the popsicle sticks. 1. Print out coloring pages of an ox, dog, cat, mouse, donkey, Mary, Joseph and Jesus. I just used Google Images to search for each animal. For example, “Ox coloring page.” You will get lots of results to choose from. 2. Color the pages you printed out. You can do it or you can have your kids do this. 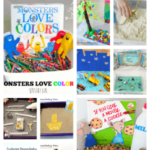 I chose to color them myself so I would have a pretty version to photograph for this post. 4. Laminate them if you would like. I used my portable laminator. You can also laminate them by putting them between two pieces of clear contact paper. 5. Glue them to the popsicle sticks or use velcro dots to attach them to the sticks like I did. You can also skip this step if you are short on time. The first thing we did is read the story. 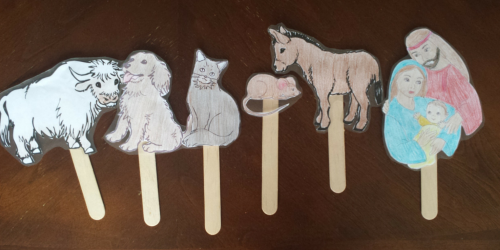 Then I showed Evan that I had made him some puppets that he could use to help tell the story. He was very excited to have props to help me tell the story! 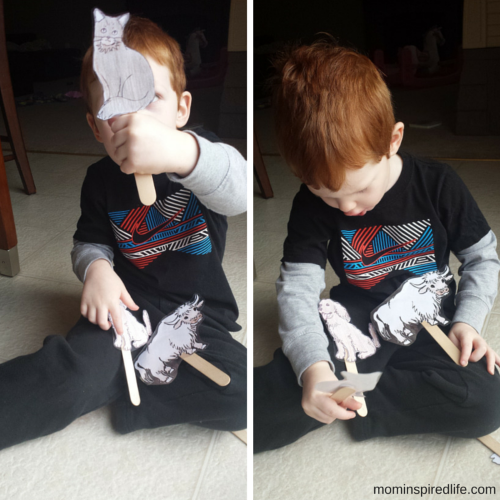 We read the book again, but this time he used his puppets. When a new animal entered the stable, he held up that puppet. When it was time for Mary, Joseph and baby Jesus to arrive, he held up that puppet. Then I closed the book and worked with Evan on sequencing the story. I asked him if he could remember which animal came first in the story. He identified that it was the ox. So he put that one on the table first. Then we looked for the next animal and the next and so on until we ended with Mary, Joseph and baby Jesus. Sequencing is a skill that it is crucial to reading comprehension so any time we can work on that, I try to. We are now able to use the puppets every time we are reading the story! I plan to keep them and use them for many Christmases to come. 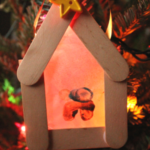 For more Christmas activities for kids, check out my Christmas for Kids Pinterest board.